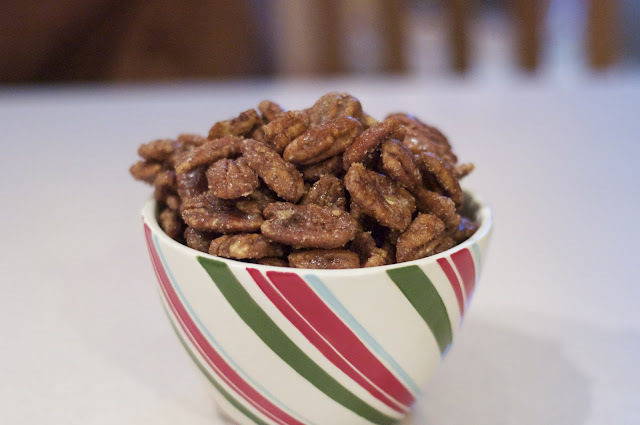 Over at Kevin and Amanda's blog she posted this amazing recipe for Candied Pecans. I gave it a try yesterday. Oh my goodness... keep these away from me. They are addicting! Very simple to make. Here's her recipe. Preheat oven to 225. In a large bowl beat the egg whites and water. Add pecans and stir to coat. Whisk together the sugar, salt and cinnamon, then pour over the pecans, stirring to coat. 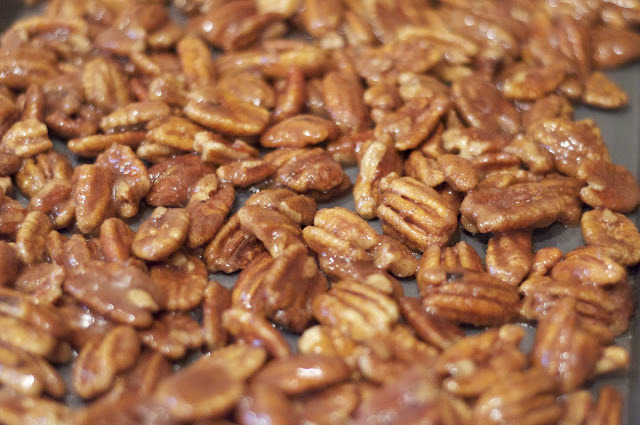 Spread pecans on a baking sheet that has been sprayed with cooking spray and bake for one hour, stirring every 15 minutes.